August 2012 | Free Pc to Phone Calls, Free Voip Calls to India International ! Few days back we posted about the crowdcall application for smartphone which allows you to make free phone calls from your mobile phone. The app has recently featured in top downloads (top free apps) in apple market and google play as well, which indicates that lot of people have been using this app. The good thing about crowdcall is that you just need internet connectivity to initiate the call and that's it, the actual call can be placed between any two mobile. 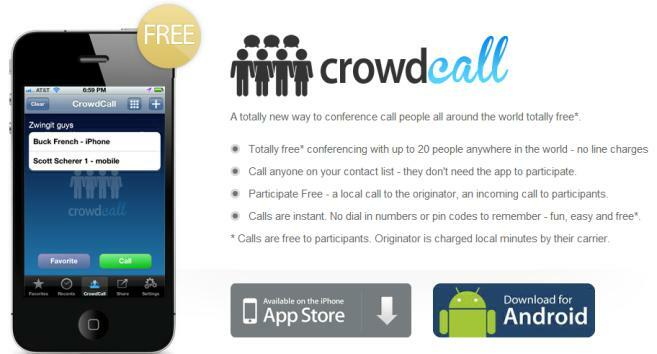 Many of you must have figured out that you can use crowdcall on your iPod touch as well and make phone calls. Making phone calls on iPod Touch is one of the most searched topics as lot of people are using iPod and want to use it as iPhone (add the feature of calling to it). In the past as well, we have discussed about some apps which allows to make calls from iPod Touch. Today we will discuss about using CrowdCall to make calls from iPod Touch. You just need iPod (with internet) to initiate the call. The actual call will be placed from your mobile phone. So you require : iPod Touch (or iPhone or iPad), Mobile Phone/Landline Phone to talk. Calls can me made (to and from) more than 40 countries including India, China, France, Germany, Italy, Korea etc.. Check the full list here. Crowdcall allows upto 10 calls per day, each call lasts for about 30-45 minutes. The call duration depends on the country you are calling. You download the crowdcall application on your iPod touch. You add your own number (set up your number). Crowdcall will call you on this number and then connect to the destination. Add the number which you want to call. Destination Number. It will call you and then ask to press "1". Your call will get connected. Some people have faced difficulties placing free calls with crowdcall, so we decided questions and answers here. Q. CrowdCall asks for credit to make call. A. There could be two reason : You have entered incorrect number. First set up your own number correctly like "011. Destination number format . Other reason : country which you are calling from and to, is not included in free list. Q. Call does not get through. A. Make sure you are connected to internet on your iPod Touch. Try again. Video Calling is getting really popular in India as well. I know so many people (in India) who prefer video calls over voice calls now. My parents also prefer video over voice and they have now become quite used to softwares like Skype and ooVoo. I mean if you are in USA and your family back in India, won't you like that you can actually see your family. Its now on just click on button, thanks to Voip and the smartphones/tablets. Same time around one year, we reviewed some of 3G video calling mobiles phones in India. At that time, 3G just got popular and very less mobiles (cheap ones) were available in India market. Well things have changed so much in one year and now we have lots of new smartphone's with the capability of video calling. We decided to bring a fresh list of smartphones having front facing camera. Video Calling can be one of the important factors when choosing for a new mobile. 2. Should be smartphone with capability to install voip softwares like Skype, ooVoo, Fring etc. All of Android, Windows, iOS, Blackberry mobile have this facility (where these softwares can get installed). Please note that this point is not mandatory as you can make video calls using your telecom provider facility, but then you would end up paying hefty charges. 3. Front Facing Camera : So that other person can also see you. Again a primary (back camera) will also work for video calls, but then other person will not be able to see you properly. Sometime back, we compiled a List of Samsung Video Calling Phones (in India). You can also check that list as it provides a lots of other options as well. All the below mobiles have 3G support. Wifi is available only in phones in high range. Phone has 3G Support, but not sure whether it has support for apps like Skype. Support for java based apps. There are many other options apart from the above ones which have a secondary front facing camera. However all these are above the price range of Rs 17-18K. As we have large number of cheap mobiles (in India) which have secondary camera facility, that means video calls are in reach of all. What are you waiting for, just grab one of the front facing camera mobile and start enjoy video calls. 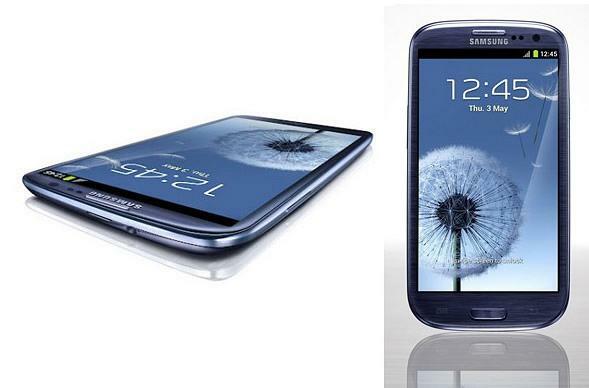 The latest entry in the mobile phone market (specially the hot android phone market) is new Samsung Galaxy S3. Many of my friends have also got this new gadget and this new phone looks and feels just amazing. The phone is quite smooth, great display, camera, no delay whatsoever. However a lot of people are facing problems with the Samsung Galaxy S3. People who have made a switch from iPhone to this mobile does not seem to be liking their decision. We though to capture some of these problems which people are facing, so this help you make a wise decision. Do you really think that the Galaxy S3 is worth the price or will you give it a miss and buy an iPhone instead..
On the international version of this phone, the problem of battery draining fast is being reported. Some people (not all) have reported that the power consumption of Galaxy S3 is way higher as compared to other smartphones in the market. Samsung is planning to release a software update which will address this issue. Few people have also reported that their mobile takes longer time to charge, as it gets stuck on a certain percentage of battery level while charging. Some people reported that a microphone malfunction which causes users to be unable to hear the person on the other end of the line. I am not sure how true this issue is (just found on some forum), as none of my friend using S3 have such complaints. Solution to this problem is simple factory reset. To Factory Reset : Click "Settings", Click "Back up and Reset", Click "Factory Data Reset" and then "Reset Device". It will erase everything and hopefully solve your issue. "There have been recent online posts displaying pictures of a Samsung GALAXY S3 that appears to have heat-related damage at the bottom of the device. Samsung is aware of this issue and will begin investigating as soon as we receive the specific product in question. Once the investigation is complete, we will be able to provide further details on the situation. We are committed to providing our customers with the safest products possible and are looking at this seriously." If you are relying on phone navigation, then you may land up somewhere else (instead of your destination). It is not always accurate. If you voice to text, the feature makes large number of mistakes and its totally not worth it.Voice command system is bad! Please bring such features after lots and lots of testing. Few people have also complained that they are not able to connect to a wifi network, either on home or office network. So many problem but trust me these are very small issues. If you have money to buy this phone, just go for it. This is the best android mobile! The hunt for a stable, handy, amazing, full of features smartphone continues. If you are planning to move from Symbian Operating system, then obvious choices are either of iOS (iPhone), Android Mobile or Windows Phone (we ruled out blackberry). However choosing between the two (android or windows) can prove to a big task. We thought to compare the two so as to help our readers make a choice. The most easiest way will be to compare between the two operating system or between android mobile phone vs windows mobile phone. However this cannot be just one comparison, it has to be a series of comparisons. The answer could be different for different segments, android may be best for high range devices but not that great for low range phones. So we will do a comparison between these two (android and windows) in different segment of phones. Today we decided to take the top level (as of today) of both the categories. This is a windows mobile os Vs Android Mobile OS in high range device's. 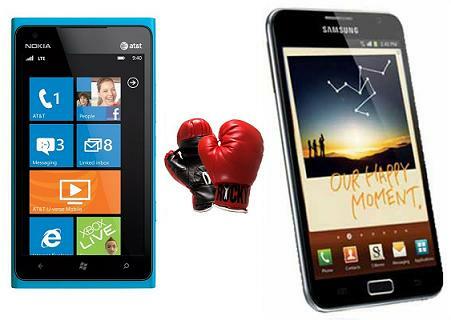 Or we can say : its Samsung Galaxy Note Vs Nokia Lumia 900. We will rate them on number of factors. Samsung Galaxy Note just looks like any other device and nothing special. Nokia Lumia 900 on the other hand gives a more premium feel. Galaxy is more kind of bulky and may be difficult to carry (that's my pov). I guess girls won't even prefer this big phone. Nokia Lumia 900 has some classy touch and feels different. But from durability point of view, Samsung Galaxy Note seems to be better. Samsung Galaxy Note is super amoled, whereas Lumia is amoled display. Resolution of galaxy is better than of Lumia. The screen size of note is also bigger than Lumia 900. Playing videos and movies on Note feels better than Lumia 900. Galaxy shines better. Samsung Galaxy Note definitely wins over Lumia 900 on this. Both have 8 Mp camera with autofocus and led flash. However Lumia has a carl ziess lens which is better than Galaxy Note. Both have secondary (front facing camera) as well for video calls. Samsung Galaxy Note has a external card slot, so the memory is extendible. However no such facility in Lumia 900. 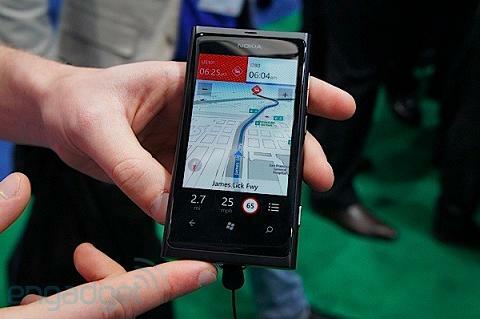 Nokia Lumia 900 is based on Windows Mobile operating system. This operating system is basically the same for almost all the windows devices. The customization and personalization is not that great, whereas Samsung Galaxy Note based on android os has lots and lots of customization in terms of wallpapers, themes, screens, apps... Android OS is definitely a winner on this front. Hardware and Response Time : Which is faster ? This is the most important feature (to me atleast). On the high range segment devices, the hardware is almost comparable and pretty same. The processing power is great and lag is not noticeable in this high range phones. Both Samsung Galaxy Note and Nokia Lumia 900 performs great and you won't feel any kind of delay or slowness in the phones. We have tried both the phones, and to some extent Samsung Galaxy Note feels a bit faster as compared to Lumia. Please note that this thing is limited to high range phones (for mid and budget segment phones, android is too slow). 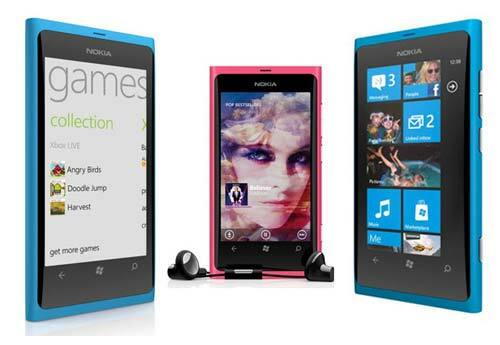 Nokia Lumia has zune, but the sound quality of samsung galaxy note feels better when compared to nokia lumia. Video experience is almost same in both the device, but between the two we still have to give it to Galaxy note because of the larger display size. We have noticed that Galaxy Note lasts longer as compared to Lumia 900. So on battery, galaxy note wins over lumia 900. Windows Mobile are pretty easy to use when compared to complicated android operating system. Though android market place has larger number of applications compared to windows market. However you will find all necessary apps in windows market as well. If you are making switch from blackberry, symbian operating system then windows mobile os is the answer for you. Android is for geeks and tech enthusiasts. Nokia Lumia is way cheaper than Samsung Galaxy Note (in USA). There as many other features as well like Pen with Samsung Galaxy Note which makes it more superior to Nokia Lumia 900. So the answer is if you have money and can afford this phone, then buy Samsung Galaxy Note when compared to Nokia Lumia Range. As expected Android Mobile Operating System wins over Windows Mobile Operating System in this high range mobile segment. Stay tuned for a comparison between android and windows in mid range devices and budget segment phones. Android's not gonna win always! Choosing a mobile phone can be a big task specially if you are a gadget freak. I need to purchase one new mobile (mid range segment phone) for one of my relative and I have zeroed on windows based mobiles. Please don't ask why I have chosen windows mobile over android (iOS is out of budget), as I have my own reasons. I have been myself using android mobile for quite a long time and trust me it works good only in phones with high processing power. Android is not matured enough for mid segment phones. Running Android OS on a 600 Mhz ain't gonna work good. For some days, you will just love android os but after some time you will definitely notice the delay/lag! What I am looking at is a mobile phone in range of 15-16K (INR), with all necessary features. I am not sure whether any android mobile (with 1 GHz processor + good ram) in this range. Please let me know if you know of any such option. Anyways, what I am left with is Windows Based Mobiles Phones. I started exploring these windows mobiles phones. Below is a list of best options for windows mobile in India (along with the prices). I do not have any restriction that I won't be purchasing online or something, infact I am planning to buy this mobile in some good online deal only. This is the costliest mobile among the nokia lumia mobiles. This phone has made great buzz in the market and it is giving good competition to android mobiles as well. Adreno 205 GPU : Great for gaming. Very fast processing and internet surfing. Priced around 23K, this is an expensive mobile. People will prefer android mobiles as compared to this phone. Mid range budget phone worth 15K having features just like its higher range nokia lumia 800. Its a good phone if you have a mid range budget. 5MP Camera with Carl Ziess Lens. Clearblack screen technology, scratch resistent screen. Video Recording offers good resolution and colors, bit rate is quite high. 8gb on board storage (At this price, it is excellent). Free life-time voice guided navigation. Disappointing battery life. Turning off multi-tasking may improve the battery life, but it isn’t the most pleasing option. With moderate usage, it may not even last a full day. The other cons include the limitations of Windows Phone OS. No expandable storage, no Bluetooth file transfer, no DivX/XviD support out of the box, over-dependence on Zune. This is supposed to be a budget phone, but I guess its a mid range phone only costing about 13K in Indian market. You can consider this phone as well if you are looking for a windows based mobile phones. Priced at 12380 on flipkart, this is a good option if you are considering windows mobile. 256 MB Ram which is less as compared to other options. Upgrade to WP8 - It will get WP7.8 which will have new start screen and all the non-hardware related features, but not WP8. This phone is from HTC (which is really doing great for android segment phones). There are lots of reasons, I am planning for this phones. This phone looks amazing, very clean finish. 3.8 inch LCD Screen (as compared to lumia 3.7 inch). This screen is very clear and looks just awesome indoors. Looks are pretty good when compared to plastic body of lumia 710. Price of Rs 15799 as on flipkart. I checked some of the local shops in Delhi, and I was quoted Rs 24000. Processing power of 1 GHZ (many android mobiles are 600-800 Mhz in this range). Secondary Camera for video call. Overall this phone is as fast as Nokia Lumia phones but the looks are much better. Ram of just 512 MB. Less preinstalled apps like Nokia Drive, Nokia Maps etc. Windows Marketplace have less apps as compared to Android. The obvious choice among the above is HTC Radar (considering all the features and the price of these mobiles phones in India). If you are having same doubts, then check some of the compiled videos below. It will help you to zero in on some option.